did a dumb thing... removed the rear sway bar to get exhaust repairs done; and didn't take any pics of the sway bay set-up before removal.... I thought , no worries, I follow the installation diagram in the service manual, only the factory service manual I have is no help.... it shows a completely different sway bar set-up to the trx. I have fixed the exhaust but now am unsure of what goes where for all the rear sway bar bushes and washers. I installed the sway bar in what seems to be the most logical set up - top bush, long sleeve then the sway bar sandwiched between two bushes at the bottom, is this right? Even a quick pic would be helpful if anyone can post one. I have had a look through the forums, but no pics available. maybe post your up so we can check? good idea. I will snap a pic tomorrow and post it. hay mate, just took a photo of my rear sway linkage. 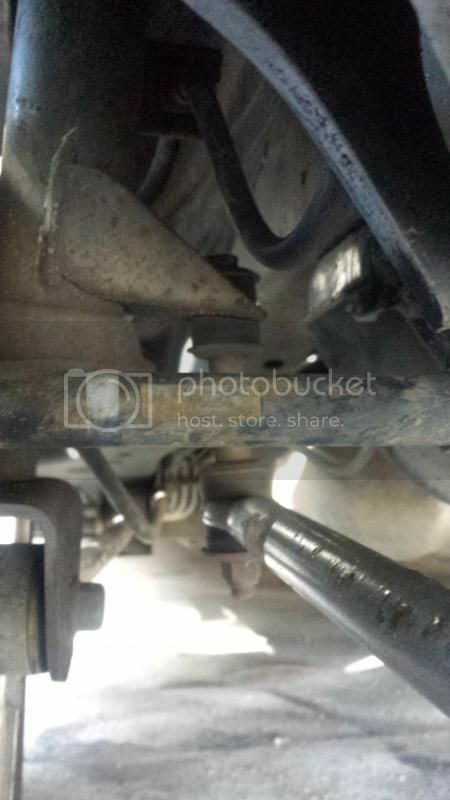 This photo is of the rear left strut. The bendy bit of the bar is obviously to go around the spar wheel well. I will snap a pick of the car and upload for fun anyway. It's my sons. He bought it at auction and wants to get it roadworthy for when he gets his P's early next year. We are all on track, just one small rust 'infection' to take care of. Here is a pic of my son's TRX. 1990 with only 134,000kms. All round very tidy, it was an older mans car apparently and went everywhere in 4th gear - hence why the clutch was stuffed. New clutch, replaced all the water in the brake lines with brake fluid (and overhauled the master cylinder), sorted out some electrical snags and now all seems well. hmmm. cant seem to get the picture to display. thats pretty tidy, paint looks real good.